Invasive alien species (IAS) pose a grave threat to the biodiversity of ecosystems, potentially causing both ecological and financial damage. Given that invasive alien species are primarily transported between maritime regions by global shipping traffic, the growth in cargo transport and tourism has resulted in an increased risk of harmful aquatic organisms and pathogen spreading. The maritime traffic sector must thus do more to prevent the spread of introduced species. The International Maritime Organisation’s (IMO) Ballast Water Management Convention (BWMC), which entered into force in 2017, constitutes a significant step towards better invasive alien species management also in the Baltic Sea. The member states of the Baltic Marine Environment Protection Commission (HELCOM) have agreed on common rules, including as regards the exemptions contained in the Convention. However, the selection of so-called target species as well as species mapping and identification in ports requires expertise, and the spread of a species into new regions due to human activities is likely to be both irreversible and unpredictable. The derogations and waivers allowed for by the Convention necessitate more rigorous definitions for target species as well as updated risk assessments. In addition to ballast water, invasive alien species may also hitch a ride on ships’ hulls. Such fouling species can be combatted by cleaning the bottoms of ships or using anti-fouling agents. The control of fouling species is currently carried out on a voluntary basis, with the substantial fuel savings enabled by cleaning the bottoms of vessels constituting a powerful incentive. Cleaning processes may, however, release harmful substances such as copper, or introduced species into the water. What is more, the regulations and practices governing in-water cleaning vary across the Baltic Sea Region, thus increasing the risk of introduced species spreading into the port where the cleaning takes place. Risk assessments regarding fouling species are currently insufficient, and more information is required e.g. on the number of species, cleaning methods suitable for Baltic Sea conditions, anti-fouling systems, the cost-effectiveness of different methods, the quantities and processing of generated waste, and the role of small vessels and trailers as possible carriers of invasive alien species. The number of introduced species is also an indicator of the state of the sea in the Marine Strategy Framework Directive (MSFD). In order to implement assessment and monitoring activities, practices must be harmonised and data resources shared. Increasing the availability of data and implementing an early-warning system (EWS) for introduced species in the Baltic Sea helps control introduced species and allows for timely action in their prevention. EUSBSR flagship project COMPLETE (Completing management options in the Baltic Sea Region to reduce risk of invasive species introduction by shipping) aims to improve introduced species control in the Baltic Sea region, in response to the above challenges. The project provides fertile ground for international cooperation, as its developers and partners represent all Baltic Sea countries. Improved methods of combatting and controlling invasive alien species can only be developed by cooperating and harmonising practices across the entire Baltic Sea Region. 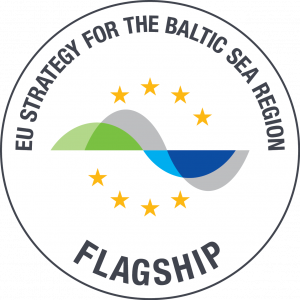 Funding is provided by the Interreg Baltic Sea Region programme, and its total budget is 3.23 million euros. Read more: Complete official homepage and twitter feed. 10-12 October 2017, St. Petersburg, Russia: Tasks and planned activities of the newly started COMPLETE project were presented at the 17th Meeting of the HELCOM Maritime Working Group (MARITIME 17-2017).